The lighthouse sits at the very end of Grantham Point just south of downtown Mount Dora. The 35 foot lighthouse was dedicated on March 25, 1988. 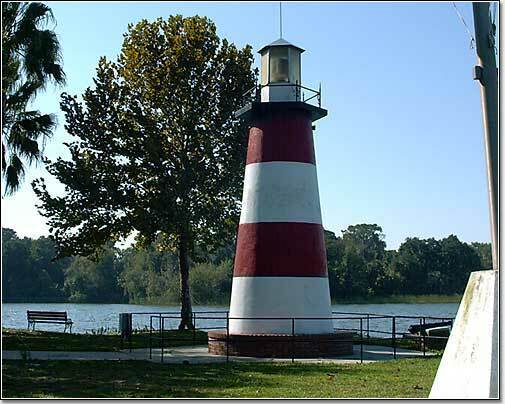 Built of bricks covered with stucco, the lighthouse stands sentry over the Port of Mount Dora. Its 750-watt photocell powers a blue pulsator sending out a guiding light to all boaters navigating Lake Dora after dusk.